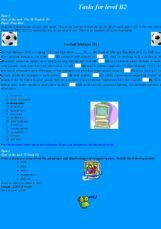 Here you can find two tasks: a use of English and a writing task. Their level is B2. The topic is free time. The text is about a brand new computer game. I hope not only the boys/men are interested in this topic. The student has to give in his/her essay, so you can check it. You can find these tasks on a printable of mine. Have a good day. 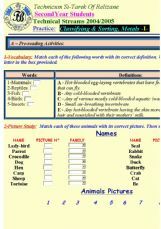 I�ve prepared this exercise to practise paraphrasing for the PET exam. The sentences contain many different structures. 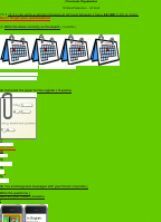 I hope you�ll find it useful. Just a simple game of hangman for young kids to get the "hang" of writing numbers 1-10 while practising their alphabet skills. Take this test and see if you are at A2 level when you write about Classroom Organisation. Review of the four types of sentences, common punctuation rules and basic capitalization. A rephrasing exercise designed to practise changing from different types of clauses into if-clauses.